This content is provided by Sikke Kingma. Sikke Kingma specializes in copyright and media law, and is one of the few IP lawyers in the Netherlands admitted to the Supreme Court bar. Sikke frequently advises and litigates in the areas of copyright law, database law, trademark law, trade names and domain names, and — only in Supreme Court proceedings — also in patent law. In addition, Sikke represents clients in proceedings concerning the lawfulness of publications and statements on the internet or in other media, particularly with regard to baseless accusations or infringements of privacy. Sikke regularly publishes and teaches on litigation, copyright and media law. He has been admitted as a member of the Association of IP Litigation Lawyers (VIEPA) and is an editor of Mediaforum, the leading Dutch media law journal. 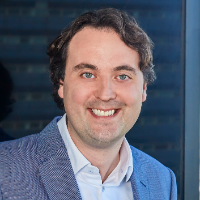 Furthermore, he is an initiator and main editor of cassatieblog.nl, the leading blog discussing recent judgments of the Supreme Court, including judgments in IP matters.